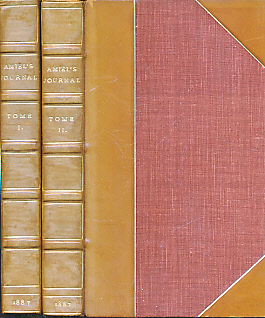 Barter Books : Amiel, Henri-Frederic : Fragments d'un Journal Intime. Two Volume Set. 200 x 130 mm (8 x 5 inches) - lxxvi, 247pp; 335pp. Half leather hardback with red cloth boards. VG: in very good condition. Later rebind with 'Amiel's Journal' on spine. Teg.